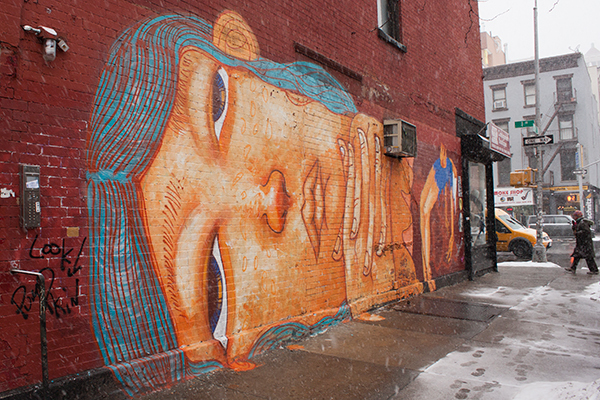 Making do is the name of the game for street artists in the East Village. Not just "drugs or more art supplies," but the weather, the police, even the orientation of walls, construction fences, etc. And it doesn't stop there! In order not to compromise the integrity of the design, the artist had to extend the ear onto the sidewalk! A lesser artist would have scaled the image down. 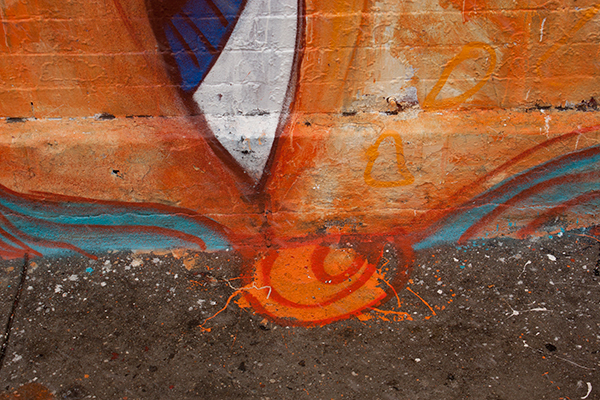 Artistic integrity is still alive… in the East Village Today!